Small Dental Annoyance Or Serious Problem? Stomatitis is dental-speak for something very common: non-specific irritations found in the mouth. Any time the membranes in the mouth become inflamed, they are referred to as stomatitis. Most individuals have probably suffered from stomatitis and don’t think it’s a big deal. The good news is that these patients are usually right because the majority of these irritations clear up on their own in less than two weeks. While they might affect the ability to speak or eat or fall asleep, they are frequently just a temporary inconvenience. However, there are cases where a bacterial or a viral infection can occur in these areas of inflammation. Because of this possibility, should be aware of these issues. Even if you are fortunate and there is no infection present, we treat the symptoms of stomatitis. 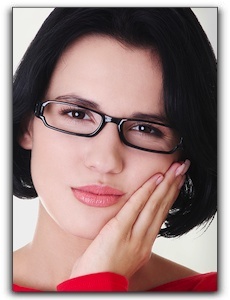 If you suffer from an inflamed, irritated mouth, schedule a consultation with us. Providence Dental’s friendly, caring staff will help relieve your symptoms and create a treatment plan that works for you.